An alumna shares her love of art with local children battling pediatric cancer through her nonprofit organization, Tracy’s Kids. Councill’s art program is free for patients and operates with an open studio model, where patients can easily access supplies like paint, paper, sketchbooks and other materials needed for art projects. The organization has expanded to seven medical facilities across the country – with four in or near D.C. and the others located in New York City, Baltimore and San Antonio. Art therapy uses the creative process and resulting artwork to explore feelings, reduce anxiety and improve confidence and social skills. 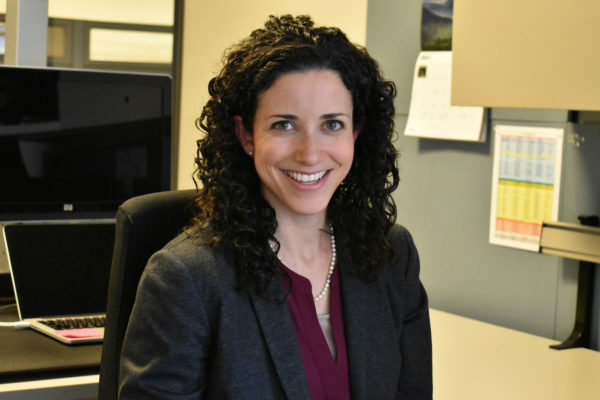 The therapy is useful for patients with prolonged hospitalizations or dealing with post-traumatic stress disorders, but especially young people who may not have the skills to cope with the trauma of their illness, Councill said. Clients work on a weekly or biweekly basis on projects they choose like masks, paintings and wall sculptures made of paper plates. Parents said the studio work children do is often related to their treatment through projects like splattering paint from play syringes or making fake food to feed the art room’s garbage monster if a child is undergoing surgery and can’t eat. One parent said her child was dealing with anxiety and trouble sleeping, so he created a bad thought box to take home that trapped all of his bad thoughts for the night. Councill’s first exposure to art therapy came during an internship at the same Georgetown hospital she works in now when she was a sophomore at GW. 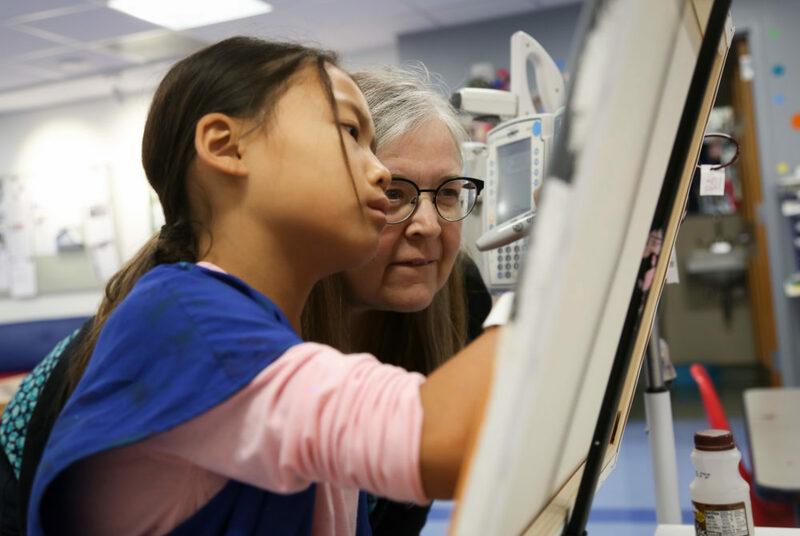 “When I started in 1991, there was not a whole lot of art therapy in medicine, so I was able to have the patients and parents be my teachers,” she said. Tracy Councill adds newly finished work to her display wall of patient artwork. Tracy’s Kids currently employs 10 therapists who provide clients with art tools and lead projects. The employees have accrued 10,000 hours of art therapy sessions at the seven hospitals the company works with. Matt Gerson, the president and founder of Tracy’s Kids, said he took interest in Councill’s work at Georgetown University Hospital in 1998. 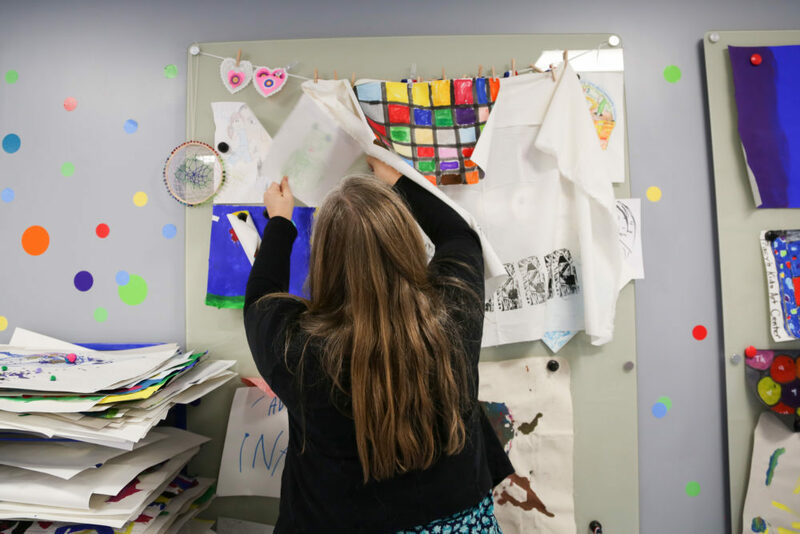 While touring the hospital and observing her work, Gerson disclosed to Councill, for the first time outside of his own family, his own history as a childhood cancer survivor. Gerson said testimonials from families that utilize the program make his effort with Tracy’s Kids worthwhile. 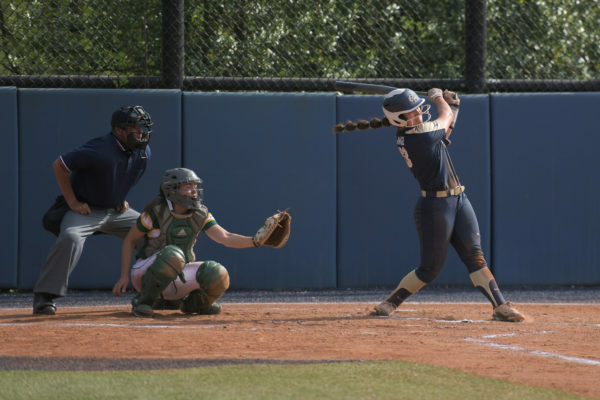 “The most fulfilling feedback we get is from parents, telling us how much of a difference we have made in this difficult chapter of their lives,” Gerson said. Theresa Miller, a parent involved with Tracy’s Kids, said her 9-year-old son Joseph was diagnosed with a rare blood disorder and attends the program every two weeks. Miller said her two sons occasionally attend the program together to help them “understand what’s going on” with Joseph, she said. “They work on these really amazing art projects to help cope, and make sense and meaning of what’s going on, and to feel in control,” Miller said. Miller said the process has alleviated some of the pain of her child’s hospital visits, and that the program was an essential part of their treatment.